Katie was born and raised in Blount County. She is excited to join her husband Michael, her father David and her sister-in-law Rachel at LeConte Realty. Because her father is a long-time REALTOR, Katie grew up in the business. She has really seen things from all points of view and knows that this will help her as she advises others in what might be the most important financial decision of their lives. 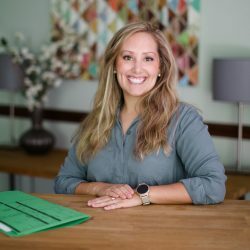 Prior to her move in to real estate, Katie has been a part of other successful small businesses related to the care of children. She has watched over MANY kids from Blount and Knox Counties and has enjoyed that immensely. Aside from her work, Katie loves her church, she gives her time as a volunteer within the Maryville City School system and has had a long relationship with Young Life and mission-related activities. She has a passion for helping others find their own sense of community. Katie is married to Michael and they have 2 sons, Blu and Elliot. She is excited to begin this new chapter and looks forward to serving the community that she is proud to call her home. Liz worked diligently for more than eight months and through three different contracts to get our home sold. She was always prompt and responsive to any questions we had, and she worked to get timely information from the buyer's agent as well. Melissa worked for months looking for that perfect house. She helped us through all the negotiations and issues that arose with patience and professionalism. We finally closed on our new house! Michael did everything he could to get us to the closing, even through what seemed to be road blocks. He worked late at night if needed, stalked people that needed to be stalked, and answered the million questions I had, even if he had to ask somebody else. He also answered my phone calls every single time. Melissa is the best! She brings accurate comp data, market savvy and a "whatever it takes" attitude to every listing. She knows what buyers are looking for and she guides her sellers through every step of the process. Brandon sold our home in Maryville in July 2018. It was on the market less than 10 days and we had competing offers OVER the asking price. It was so painless! Brandon also helped us buy our new home at the same time. He always made us feel like a top priority and did everything in his power to get things done efficiently. He was there every step of the way with us. We highly recommend Property Dad’s to anyone looking to buy a home in the Maryville area. Eric and Brett are both amazing! They are a great team! Eric was so helpful, right from the start. We had a specific idea of what area and type of house we wanted and they were diligent in the task of finding us just the right home for our needs. We couldn’t be happier with Property Dad’s and our home buying experience! Thanks again guys! Lane really listened to what we wanted and was quick to set up any showings we were interested in! He was professional, knowledgeable, and we really felt like he came through for us! This was our first home purchase and we will definitely call him again in the future! We are so happy with our home and the buying process was a breeze thanks to Lane! We can't thank him enough! Lane was a godsend. We were moving from out of state and didn't know the area well. He quickly got a great sense of what we were looking for and got us in to look at homes that we really loved. He even got us in to look at a few homes that weren't on the market yet. If you want someone who leaves no stone unturned, and who doesn't think twice about working long hours to meet your needs, Lane Shuler is your guy! Property Dads are awesome!! Eric Rice did a great job helping us sell and buy a new home as well as sell my parent’s home. They are very knowledgeable of the area, and they are honest, straight forward realtors! I highly recommend them to anyone looking to buy or sell their home!! Thank you for a great experience!! We love us some Property Dads! Brett helped us buy our first home, and it was a breeze! He was quick to answer any and all questions, and was quick to get us in to see the homes we were interested in. A+++ Recommend! These guys are amazing! They are vested in the growth and well being of our community . Both Brett and Eric are not only wonderful realtors and professionals in every sense of the word, but they are simply GREAT PEOPLE! I highly recommend the PROPERTY DADS! Lori was incredible to work with. She knows the area extremely well, and treated us as if we were her only clients. She was never pushy with us, and seemed to be one step ahead of us all the time. She is not a typical realtor who is out to make money. Lori truly wants her clients to find the right home for them. She's about helping people. Working with Lori was a wonderful experience. Purchasing our home in TN was quite a lengthy process. For over 9 months, we stayed in contact with Lori through selling our home in MA, moving to TN and renting, looking at homes, etc,... Every step of the way, Lori was patient and supportive. Even post the closing of our home we are still in contact regularly. We feel she was not only our realtor but also our friend. Lori was excellent to work with. She helped us to list and sell out house in just over a month, and also find a new home. She helped us get a great deal on both ends. She was always extremely prompt and organized and just a joy to work with. She turned a stressful event into a fun event! My family was able to land house that we love and is exactly what we were looking for. Without the Griders, we would probably not seen the house in time to view it, let along, make an offer. They were equally as thrilled for us to get the house as we were. They wanted nothing more than for us to find our home and were willing to do what was necessary to get that done. They were genuinely happy for us. My husband and I recently bought our home in Maryville and it is all thanks to Rachel!! She is amazing! We were looking for a home while living in a different city. She was very flexible with our schedule and helping show homes to us and she even made arrangements for other people in her group to show us homes while she was on a business trip. We had a limited time frame and she helped us find the home we wanted. Cyndi made everything go smoothly when we bought the property on Redbud Drive. Her effective and professional approach during the entire process made things go smoothly, and it was a pleasure to work with her. Tina is amazing! She made buying a home easy and comfortable! Highly recommend her to anyone looking to buy or sell! Glad to have met you Tina. Thanks for all your help and guidance thru the process. Best wishes to you and your family! Cindy is a fantastic professional to have on your team in any real estate transaction. Her attention to detail is phenomenal and she went above and beyond to make sure all of the pieces came together to ensure a quick sale at a great price. Cindy is a fantastic professional to have on your team in any real estate transaction. Her attention to detail is phenomenal and she went above and beyond to make sure all of the pieces came together to ensure a quick sale at a great price. 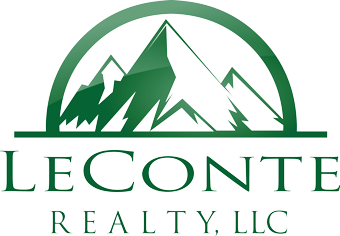 © 2019 LeConte Realty - Maryville's Cutting Edge Realty. All Rights Reserved.